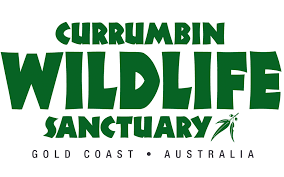 Welcome to Currumbin Wildlife Sanctuary, home to the world’s largest collection of Australian native animals. The Sanctuary is an oasis, located in the centre of Australia’s popular holiday destination, the Gold Coast. With over 27 hectares of landscaped surrounds and bushland catering for over 1400 mammals, birds and reptiles, Currumbin Wildlife Sanctuary offers a unique natural experience. Take in the sights of Australia by visiting the Currumbin Wildlife Sanctuary where you can see native animals face to face in natural surroundings. The Sanctuary is also recognized worldwide as a quality research and conservation facility. At the newest attraction, Wild Island, it’s prey vs predator for youngsters at Currumbin Wildlife Sanctuary! Wild Island is a place where kids can experience what it’s like to be an animal surviving in the wild! The outdoor adventure playground combines fun-filled entertainment with fascinating wildlife education for young visitors to the park. On Wild Island kids can hone their skills in the Rainforest Tree House, uncover ancient fossils, escape into subterranean burrows, experience what it’s like to be locked into an oversize spider’s web, soar into an eagle’s nest on the Raptor Ride, and clamber like a gecko on a giant rock wall! Conveniently situated beside the main highway and still only meters from the sandy white beaches of the Gold Coast, the Sanctuary is an opportunity to visit the green behind the gold. Kangaroo Feeding: Visit the free-ranging kangaroos and wallabies and enjoy a great up-close and personal experience with Australian wildlife. Totally Wild Show: Get closer than ever to some of Australia’s most fascinating wildlife. Every show concludes with the chance for a special souvenir photo also. Snakes Alive Show: See some of the world’s most venomous snakes in this amazing show and find out what to do if you ever encounter one in the wild! Free Flight Bird Show: See birds of prey, colorful cockatoos and other bird species in free flight at this spectacular show. Crocodile Presentation: See the Saltwater Crocodiles at home at Crocodile Wetlands. A superbly adapted predator, the Saltwater Crocodile is the world’s largest living reptile. Lorikeet Feeding: Currumbin Wildlife Sanctuary’s original attraction, the colorful Rainbow Lorikeets still return to the Sanctuary to feed twice a day. Because the lorikeets are a wild population, sometimes you’ll see some, sometimes you’ll see hundreds – but you’ll always be seeing one of the Gold Coast’s most interesting natural phenomena!